In mid-December, I offered an update on Relay For Life of Second Life, which included news on the KNH Hope Hostel, and the slightly less positive news that it appeared as if Stingray Raymaker, so long the guiding force of RFL in Second Life and the conduit Second Life and the American Cancer Society (ACS), had departed the organisation. Well, as it turns out, there is more news on both – and the news is very positive. Stingray had broken the news of his (then) impending departure from ACS at the end of November, emphasising that while it was due to occur on December 7th, he was confident that ACS’s work in Second Life would continue. As you all probably know, my last day as Director, RFL Online Revenue was on December 7, 2018. I have continued to support our volunteers in Second Life during the past weeks while applying and interviewing for other jobs. For those who wish to keep up, I am proud to share with you that I have found a new job that I started Monday, December 17 and the best thing about this new job is that I get to continue working with you all in Second Life. In fact, Second Life is one of the most important priorities that I am responsible for now as the new Sr. Consultant, Virtual Community Development for the American Cancer Society. The new position stands in recognition of the huge amount of support virtual world residents – particularly those engaged in Second Life – have given to the American Cancer Society over the years, and came about as a result of ACS leaders meeting with members of the Second Life Relay community, allowing them to gain an even greater understanding of the potential offered by virtual environments. This is actually very good news, and I’d like to extend my congratulations to Stingray on his new role. As I’ve previously reported in these pages, the Kenyatta National Hospital (KNH) Hope Hostel is the flagship of a programme to expand the American Cancer Society’s Hope Lodge facilities world-wide. These provide free accommodations for cancer patients and their caregivers during treatment. More than a place to stay, a Hope Lodge can be an essential part of cancer care for many. In 2014, for example, over 44,000 cancer patients and caregivers stayed at a Hope Lodge in the United States, accumulating over 276,000 free nights of accommodation with access to a range of facilities such as a social centre, library, and laundry, all of which they otherwise might not have been able to afford. As a part of the initiative, the 2018 RFL of SL Fantasy adopted the KNH Hope Hostel as the recipient of all funds raised. The total cost to build the new hostel and operate it for two years has been put at US $2.8 million. Thanks to a goal effort by supporters of the American Cancer Society – including Second Life residents – all but US $300,000 has now been raised. The incredible amounts of money raised by Relayers in Second Life, and their commitment to help us finish the job of funding the KNH Hope Hostel has been an inspiration to our Matching Sponsors. It has gone a long way to convincing them – and us! – that we can get to the finish line in 2019. Kristen Solt, ACS Managing Director of Global Alliances. 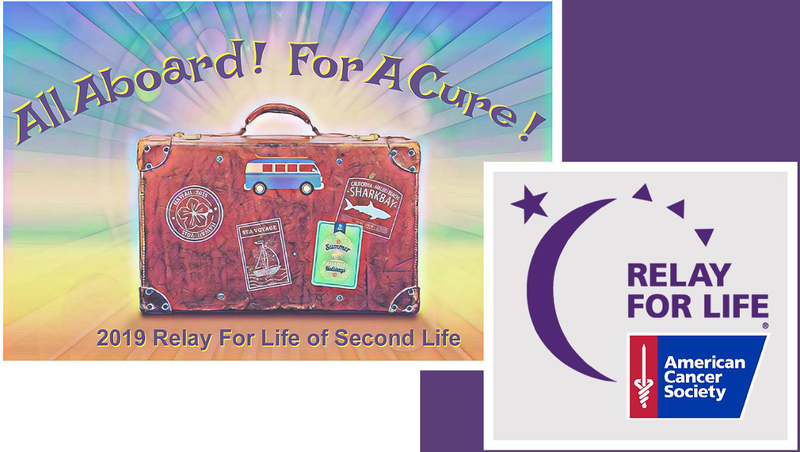 A plan is now being developed to rally support from Relay For Life teams in Second Life along with those in other virtual and digital communities, as well as in brick-and-mortar Relay For Life events to raise the remaining US $300,000. As well as participating in these efforts during the 2019 RFL of SL season, those who wish can donate directly to the KNH project. Note that all donations made through this page will be automatically matched by ACS Matching Sponsors. There is a wonderful Kenyan proverb which states that sticks in a bundle are unbreakable. The kinds of partnerships that are emerging through this project – connecting communities across the world including those throughout the metaverse – are proof that when we work together there is nothing we can’t achieve. So, here’s wishing the ACS and the RFL teams all the very best for the 2019 season, and to seeing the ground broken and work started on the KNH Hope Hostel. I’ll have more on the KNH Hope Hostel, and of course on the work of the RFL of SL team and fund-their raising throughout 2019. With thanks to Zander Greene.